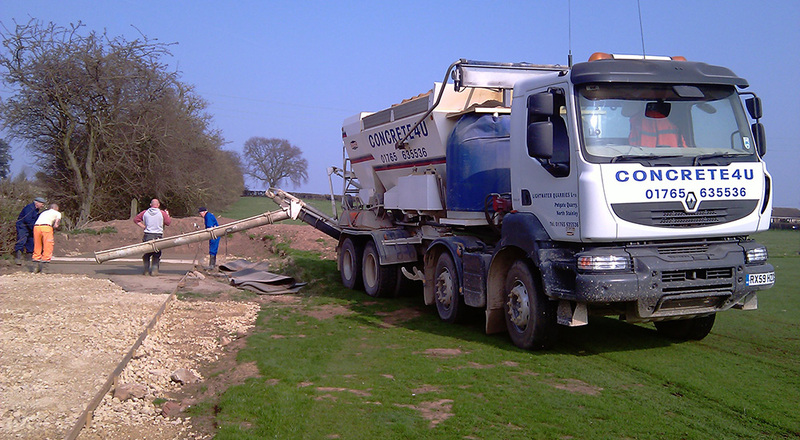 Supplying concrete for a driveway is something we here at Concrete4U do regularly. If you want a concrete drive with a lovely smooth finish our concrete is ideal. If, however, you are looking for something more bespoke and you are going for a pattern in-printed drive we can work with you to get you the best mix for the job. With our fleet of mix on site wagons and or our mini-mix drum we can ensure our material and delivery is perfect for your job. If you have a tight access site we can send along our little drum mixer which has a weighing platform to ensure you still benefit from our ‘only pay for what you use’ service as that can get into tighter spots. If however, access is no problem the mix-on-site (volumetric) wagons are ideal especially for pattern in-printed jobs where the workability of the concrete and the life of the mix is crucial for guaranteeing the best possible finish. 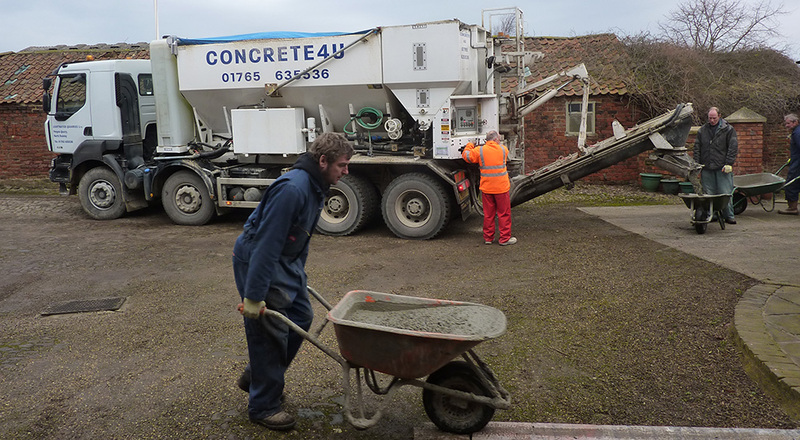 As we mix while we are there your concrete is fresh with every barrowful ensuring the maximum working life of the concrete and making sure you are 100% happy with the mix. With no waste, no fuss and quality guaranteed through our quality accreditation we aim to be the best in the area. Get in touch, or fill in the contact form below and we will get back to you.